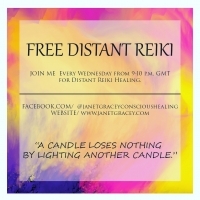 Location: This is a Distant Reiki Healing so you can join from anywhere in the world! Usual Numbers: Approx: I now have in the region of 100 people who attend the group weekly. Helpful to bring: Just your permission to be part.